The online version of the original article can be found under doi: 10.1186/1471-2474-13-258. The online version of the original article can be found at http://dx.doi.org/10.1186/1471-2474-13-258. During the review process of a subsequent paper, we have unfortunately discovered that our original interpretation of the sagittal plane hip joint moment in our previously published original article  was incorrect. 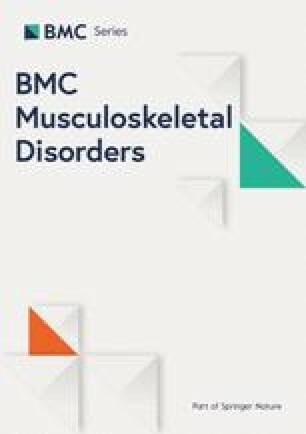 In the original publication, we reported that individuals with mild to moderate hip osteoarthritis revealed a reduced sagittal plane external hip flexion moment. However, the sagittal plane external hip joint moment shifts from flexion to extension during stance. When the hip joint is extended above neutral position (0 degrees), the external moment should no longer be interpreted as a flexion moment, but as an extension moment. As the mean hip joint angle in our material do exceed 0 degrees at peak hip extension and toe-off; the force passes posterior to the joint center. Thus, our findings should have been reported as an external hip extension moment, not an external hip flexion moment. Our misinterpretation in the original article has affected our results in that it should have been reported in the Results and Conclusion that the hip OA patients revealed a reduced external hip extension moment at peak hip extension, not a reduced external hip flexion moment. Consequently, the associated graph in Figure 3, and corresponding numbers in Table 2 and 4, should have been presented in the opposite direction with regard to negative and positive values. Corrected versions of Figure 3 and Tables 2 and 4 are provided in this erratum. Our overall findings, that hip OA patients reveal altered gait kinematics (reduced hip and knee excursion) compared to controls, and that those with more severe radiographic OA reveal larger deviations than those with less severe radiographic OA, remain. All other original graphs and tables are correct. Thus, the mistakes in the interpretation of the hip joint moment do not affect the soundness of the original study. We apologize for the inconvenience this error in our original interpretation of the data in the original analysis may have caused.